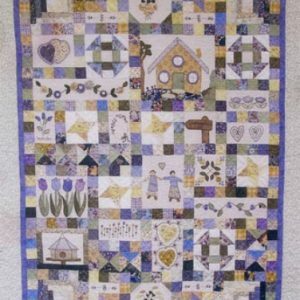 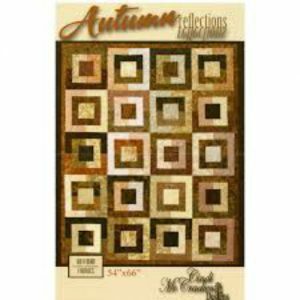 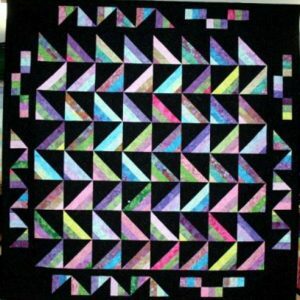 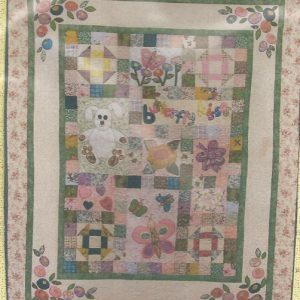 Another beautiful quilt pattern from Therese Hylton. 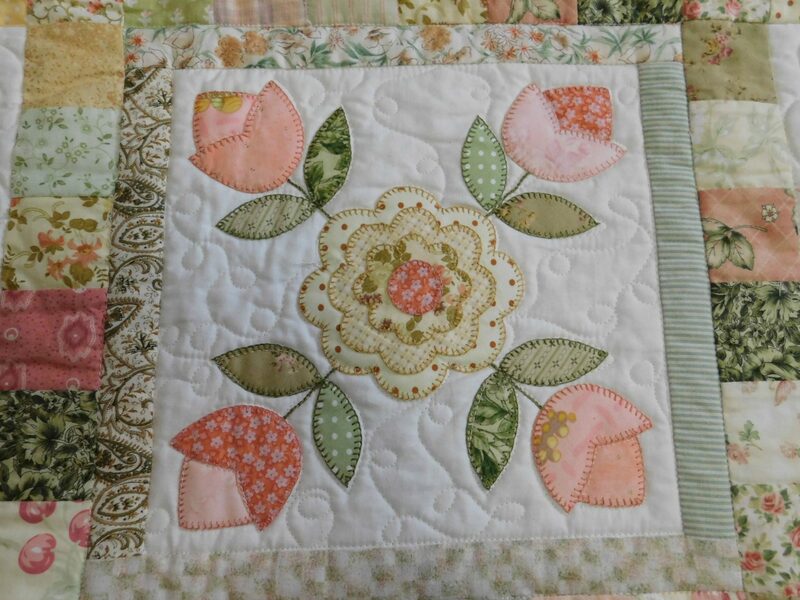 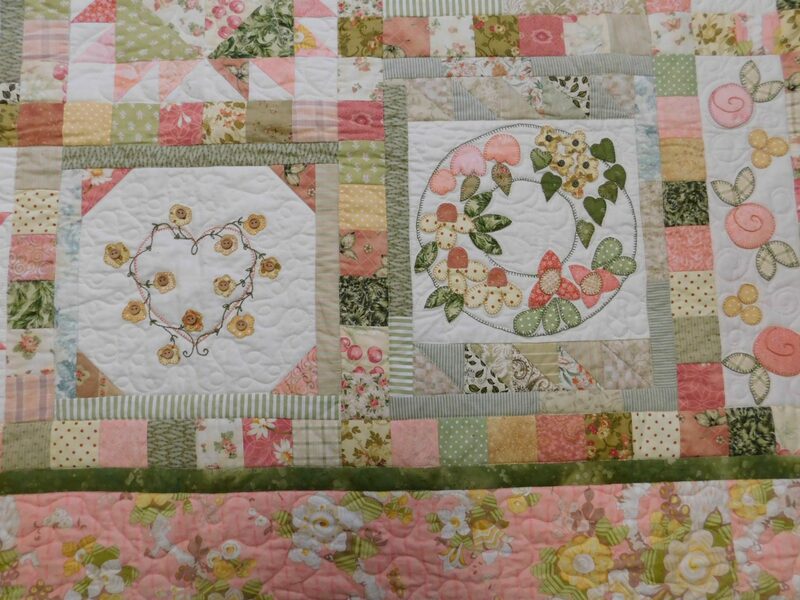 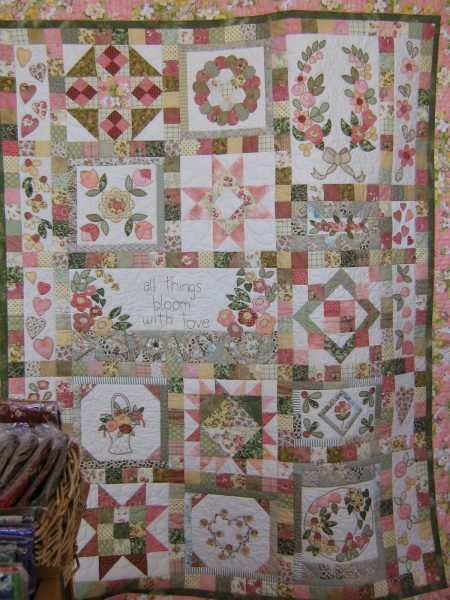 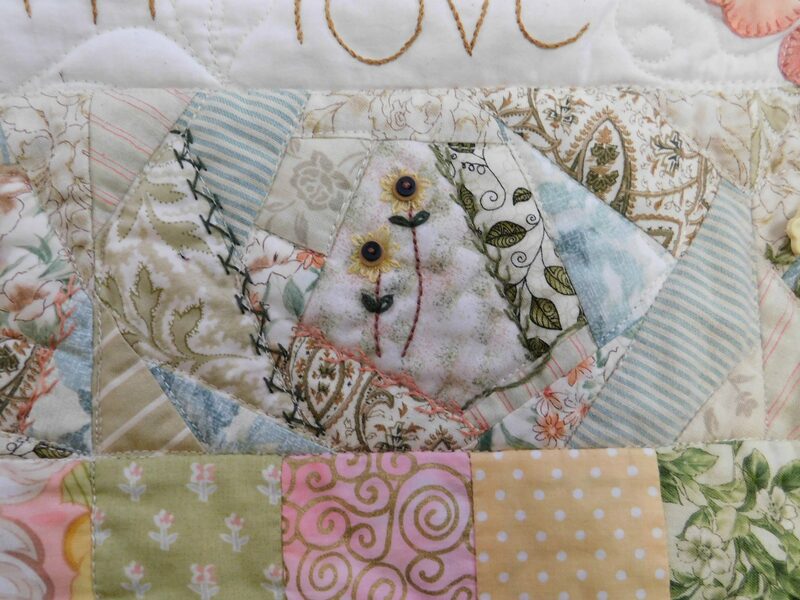 The use of the peaches n cream fabric in this quilt makes it oh-so-sweetly feminine! 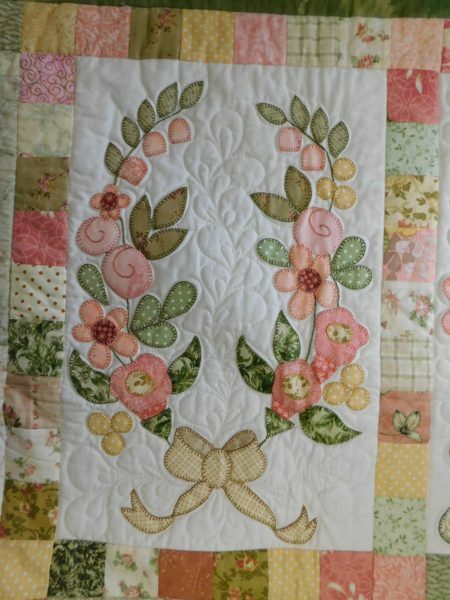 Delicately beautiful, using a gorgeous mix of easy piecing and simple applique, with a touch of embroidery. 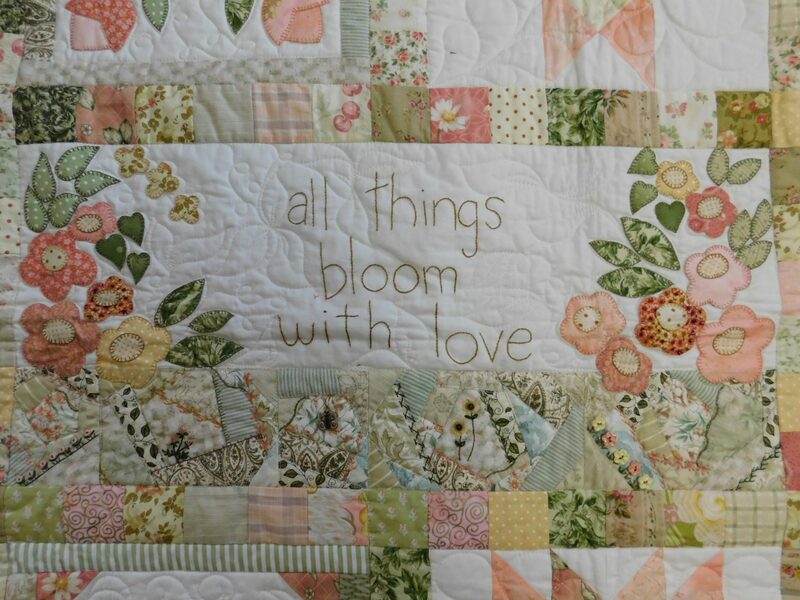 Also divine in blues, lavenders, pinks and even lemon…..